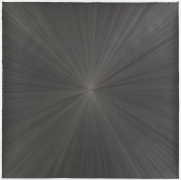 MICHELLE GRABNER AND BRAD KILLAM, Oyster #5, 2013-14, Wood, galvanized steel, flashe on panel, fabric on panel, silver and gesso on panel, framed type c print, oil on canvas, enamel on aluminum, oiled wood, various fasteners, 98 x 96 x 6 in. 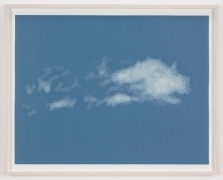 SPENCER FINCH, Cloud (cumulus fractus, Finland), 2014, Scotch tape on paper, Sheet: 19 3/4 x 25 1/2 in., Framed: 21 5/8 x 27 1/2 in. 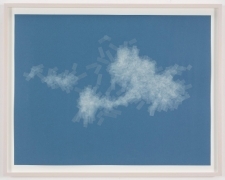 SPENCER FINCH, Cloud (cumulus humilis, Vermont, 2), 2014, Scotch tape on paper, Sheet: 19 3/4 x 25 1/2 in., Framed: 21 5/8 x 27 1/2 in. 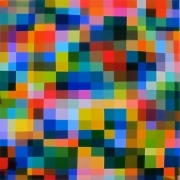 SPENCER FINCH, Color Test (360), 2014, LED lightbox, Fujitrans, 30 x 30 x 4 1/2 in. MICHELLE GRABNER, Untitled, 2014, Burlap and gesso on panel, 32 x 24 in. MICHELLE GRABNER, Untitled, 2014 Burlap and gesso on panel 32 x 24 in. 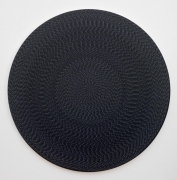 MICHELLE GRABNER, Untitled, 2013 Flashe on canvas Diameter: 80 in. MICHELLE GRABNER, Untitled, 2014 Gold point and gesso on paper 48 x 48 in. 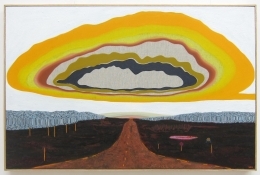 WILLIAM MONK, Furthur!, 2014 Oil on canvas 25 9/16 x 39 5/16 in. BYRON KIM, Untitled (for J.S. 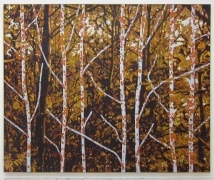 ), 2011 Acrylic on canvas 90 x 72 in. WILLIAM MONK, Paravent (Universum), 2014 Oil on canvas 90 1/2 x 110 3/16 in. SHI ZHIYING 石至莹, White Marble Figure of Buddha, 2014 Oil on canvas 94 7/16 x 70 13/16 in.